I can spend hours and hours playing around with different nail art designs and absolutely love doing it. I always love it when someone compliments me on my nail art so I don't mind putting the effort in! 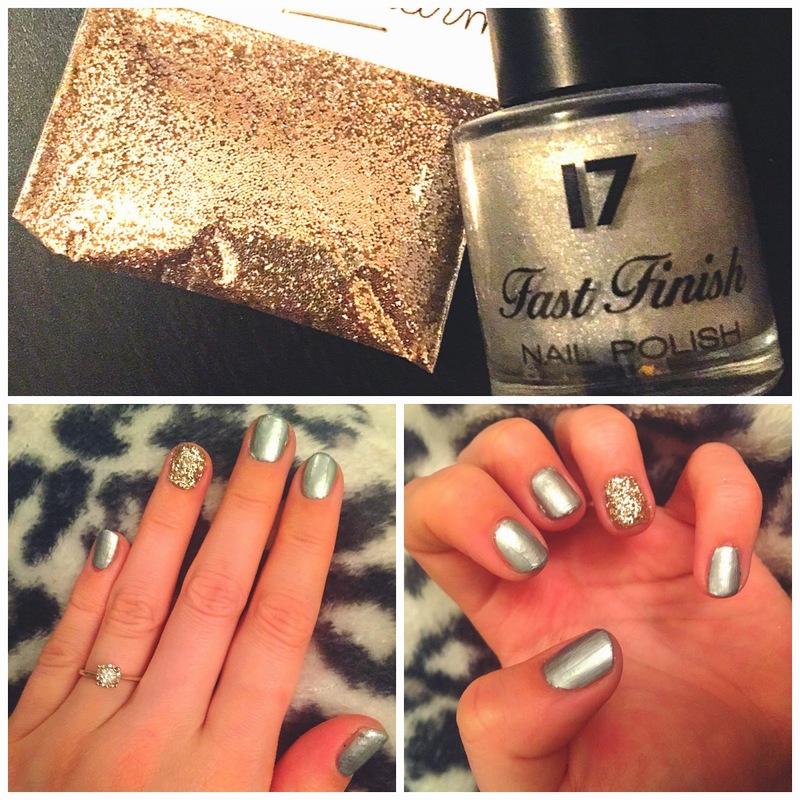 Recently I got some lovely nail art accessories from Prairie Charms and fancied trying out some party nail looks. 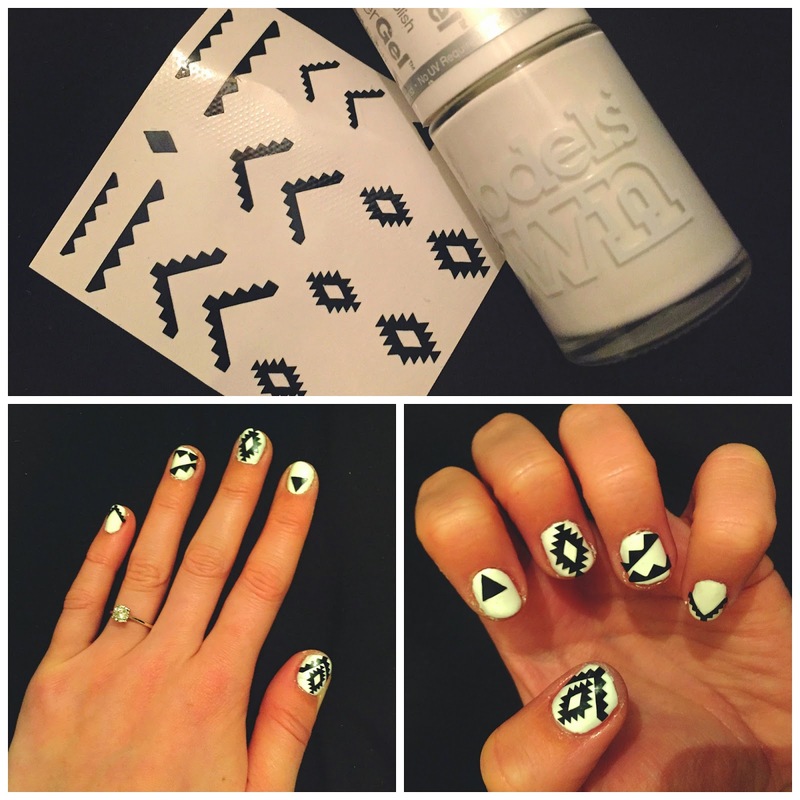 I got two sets of stickers, one with aztec designs and one with lovely gold chevrons, and a nice pack of silver loose glitter and I've created 3 different party nail looks, bound to get you loads of compliments too! First up, I went for the Lily aztec nail vinyls. These were very different to any kind of nail art I'd done before, which is what drew them to me! I went for a bit of as statement and placed them on top of two layers of Models Own HyperGel White Light so there was a big contrast between the black sticker and the white polish. Next up I fancied a bit of metallic chevron patterns so went for the Chevron Vinyls. 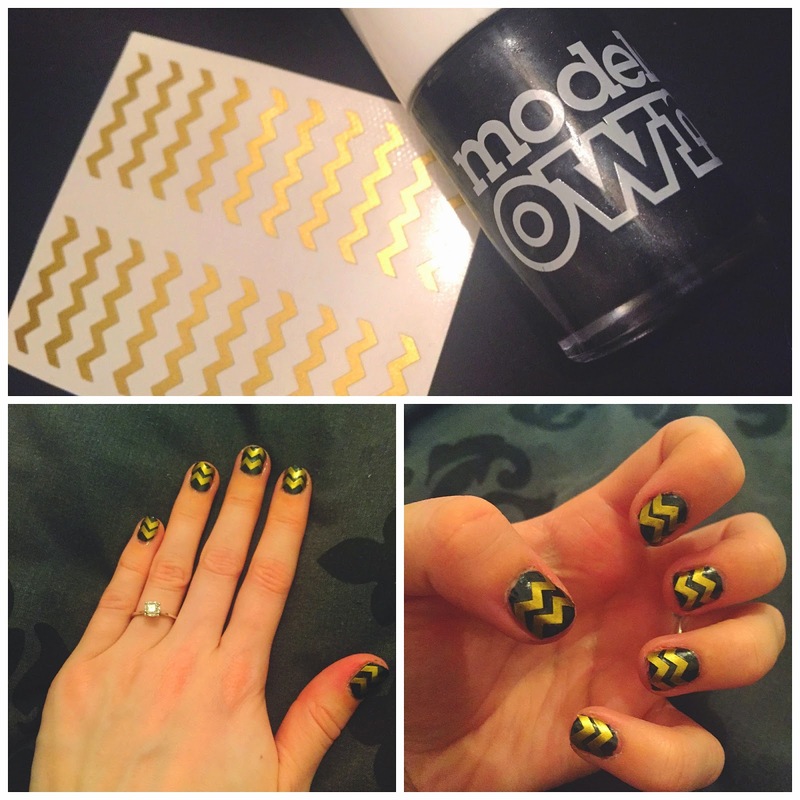 I've tried freehand chevron nail art before but could never quite get it spot on, so these gold chevrons, combined with the Black Swirl Models Own polish gave me the perfect design! Glitter nail polishes and accent nails are always one of my favourite party nail ideas, and I really wanted to experiment with loose glitter but have always thought that might be a little ambitious for me! I chose the Sada nail glitter and simply sprinkled a generous amount over a wet coat of clear base nail varnish and patted it gently to compress and then sealed it with a top coat! So, there are my three new party nail art designs that I've been experimenting with recently! Which is your favourite? Let me know in the comments! this is beautiful! finally all those pinterest nail arts are going to come true. Love the sparkly design ones at the end! Very pretty.